Leslie Liautaud has worked for over 30 years in professional theatre as actor, director, choreographer and playwright. Leslie is the author of MIDNIGHT WALTZES (2006), HE IS US (2008), THE WRECK (2009), SALIGIA (2011) and A MIDSUMMER NIGHT’S DREAM: THE MILLENNIAL EDITION (2012). Her screenplays/webisodes include TAJ MAHAL (2006), WEB (2010) and Jimmy John’s/Whateverhollywood (2010) parody web series. Leslie directed her one-act play, THE MANSION (2010) and directed Tennessee Williams’ play THE CHALKY WHITE SUBSTANCE (2011) for the “Tennessee at 100” series both at Parkland College in Champaign, IL. She wrote SPECTACLE LUNATIQUE for Redmoon Theatre in Chicago, IL (2012). Leslie’s plays have been produced throughout the Midwest United States and her plays MIDNIGHT WALTZES and THE WRECK both received translations for the Royal Academy of Fine Arts in Ghent where they are used as classroom curriculum. Both are archived at the Opendoek Library in Antwerp. 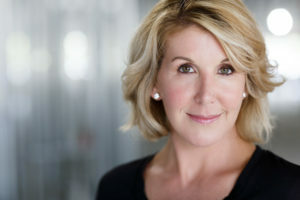 Leslie has performed and choreographed for various Midwest theatres and organizations such as Ibsen Theatre, Exposure Inc., Liberty Symphony Orchestra, Worlds of Fun and Westport Ballet Company. Leslie co-founded the “People in Motion” high school youth performance program (1995) in Kansas City, MO. She is the author of the coming-of-age novel, BLACK BEAR LAKE and the psychological thriller, BUTTERFLY PINNED. Leslie is currently writing her third novel.